Kim’s love of the business stems from her upbringing in a family of housing industry greats. “I watched my parents flip investment properties, while my mother built a prominent real estate company in Houston and gained a loyal following,” she says. “She had a great vision for helping others see the potential in a property, and I new I could do the same.” The University of Texas Business graduate with a Major in Marketing and studies in Real Estate attained her license right away. A powerhouse of creativity, Kim’s illustrious career includes high-profile luxury home sales and the founding of The McAuliffe Group, a promotional and advertising company where she represented esteemed brands like The Staubach Company, Wyndham Resorts and Hotels and Park Place Dealership Group. 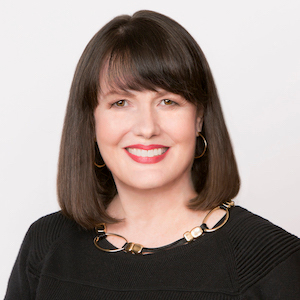 Throughout the years, Kim bough, sold and renovated several properties in Preston Hollow and the Park Cities, acting as general contractor and staying abreast of market conditions to maximize each home’s potential. In 2007 she formed a strategic alliance with her daughter and accomplished business partner, Erika Orbin, to focus solely on her passion for homes. Today, they bring double the service, marketing resources and luxury expertise to every detail of your real estate transaction. “Erika and Kim were amazing to work with,” say The Nowlins. “They were very patient with as we were very pick, and always told us not to settle to make sure we were buying the right house for us. They were never afraid to tell us if we should walk away from a deal and were extremely knowledgeable in the market and the neighborhood.” This hands-on approach has garnered the mother-daughter duo a strong following with several multi-generational deals spanning from first-time homebuyers, to empty nesters and growing families in the most prestigious neighborhoods in Dallas. As a Broker Associate at Compass, Kim leverages local knowledge with the power of a nationally recognized brand to bring the buyer to you. From hip pocket listings that close in record time, to remodels to sell, Kim keeps a close eye on what’s happening in the market to help people artfully buy and sell Dallas. Kim is a proud mother and grandmother who lives happily in the Park Cities vicinity with her husband Hal, Executive Vice President in strategic partnerships at Aegis Therapies, a healthcare company. A member of St. Rita’s Catholic Church, Kim enjoys traveling, spending time with family and staying actively involved in the communities in which she serves.